Casey Fowler considers how intellectual property (IP) management will play a role in protecting pharma companies’ investments and future R&D. Intellectual property (IP) rights protect the extensive investment in research and clinical testing that must take place before a new pharma product can enter the market. It can take 10-15 years to develop a new medicine and it is expensive – $2,558 million, according to the Tufts Centre for the Study of Drug Development. Capital invested is almost all directed to clinical research and drug trials, rather than the manufacture of the final product. Generics can replicate the manufacturing process for a new drug at a fraction of the cost. The threat of plummeting sales at the end of a long product lifecycle can discourage pharma companies from investing in R&D. However, by patenting IP, they can protect against low-cost reproduction of clinical research that undermines the work of IP owners and the substantial contributions of investors. Patents can help secure market exclusivity and create more opportunities for return on investment. However, the fight for market exclusivity has led to a number of patent challenges. For example, in 2015 Novartis lost a patent fight with Torrent Pharmaceuticals over its blockbuster multiple sclerosis drug Gilenya. With $2.5 billion annual sales in 2014, Gilenya is the highest revenue generating drug for Novartis worldwide and contributes significant value to its IP portfolio. However, the US Patent and Trademark Office (USPTO) concluded that certain claims made by Novartis were ‘obvious’ and did not merit patent protection. The first series of Gilenya patents will begin to expire in the US in 2019, leaving the market open for competitors and cheaper drugs. Patent disputes following copycat activity are an active threat and therefore pharma companies aim to obtain patents for the entire lifecycle of a drug, including methods of manufacture and active ingredients, to minimise the likelihood of disputes. Patent protection for pharma is different to IP protection in other industries. Many technology-based inventions can be kept secret until they reach market, when products can utilise the full term of patent protection – 20 years. The high cost involved in R&D means the majority of pharma companies apply for patent protection during research stages and before clinical trials. This means that the average effective patent life for medicines is just 11.5 years. Early patenting not only reduces the patent life of a product when it reaches the market, but shortens the time available for marketing it. Pharma companies should consider obtaining patents for the broadest possible scope during the R&D process. Then ‘Methods of use’ and ‘Formulation’ patents can be filed later – at the clinical trial stage and when the product’s use is properly defined. The issue of reduced patent life has been addressed in legislation in the US, where patent applicants can now apply for a term extension. However, the time periods permitted for such extensions do not always equal the time lost. 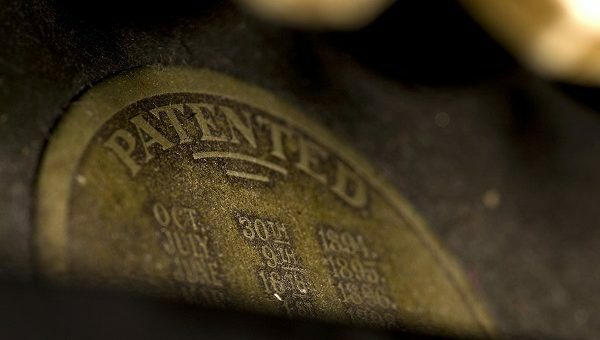 In the US, patents can only be extended for half the time period that was consumed by the regulatory approval process and for a maximum effective patent term of 14 years. Trade secrets are becoming an increasingly useful tool for pharma, particularly in the US, where recent changes to guidelines for examination at the US Patent and Trademark Office have applied severe limitations on the patentability of natural products and methods using laws of nature. While patent protection in many territories is limited to 20 years from the date of filing, the period of protection conferred by a trade secret can be indefinite. Trade secrets entail significant risk, but can speed up the process of drug development. Drug development requires significant funding, but with a strong patent system and a market free of price controls, the American pharma industry is rarely short of investment. The private sector, which focuses heavily on R&D, is largely protected by patents. But the public sector is far more open. Until the Trade-Related Aspects of Intellectual Property Rights (TRIPS) Agreement in 1994, many developing countries provided little opportunity for patent protection for pharma products. While the countries that joined the World Trade Organisation (WTO) committed to providing stronger patent protection, less developed countries were not required to meet this obligation until 2016. Successful pharma R&D is taking place in developing countries such as Brazil, China, Cuba, Egypt, India, Kenya, South Africa and South Korea. These nations are at varying points of economic development, but each is considered an ‘innovating developing country’ in pharmaceuticals. A pharma company that cannot secure private investment may be forced to develop a new product in the public arena, making it harder to protect its ideas. Alternatively, it would need to resort to protection via trade secrets. The combination of poor patent protection and a lack of experience licensing IP to the private sector, means development of commercial enterprises is much more difficult. Generic companies also have access to a company’s drug development process when it is forced to take place in public. With little chance of patents being an obstruction, companies can quickly reproduce drugs cheaply and in large volumes. Generic companies such as Ranbaxy Laboratories are increasingly taking advantage of the tedious pharma patent lifecycle. Ranbaxy reportedly reaped $500 million in sales from its knockoff of Pfizer’s cholesterol pill Lipitor during its first six months on the market. The competitive nature of the market makes patents a critical form of IP management and protection. Pharma companies should seek an intelligent IP management solution to provide competitor insight, manage the lengthy protection process and fuel insightful R&D. Patents can significantly reduce the risk of revenue loss and safeguard the industry’s development and innovation for the future. 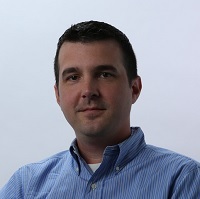 Casey Fowler is VP of IP Search at CPA Global.